LIMERICK business man and golf enthusiast Peter Brazil enjoyed the thrill of a lifetime this week when caddying alongside the top European professionals at the €6 million Dubai Duty Free Irish Open. 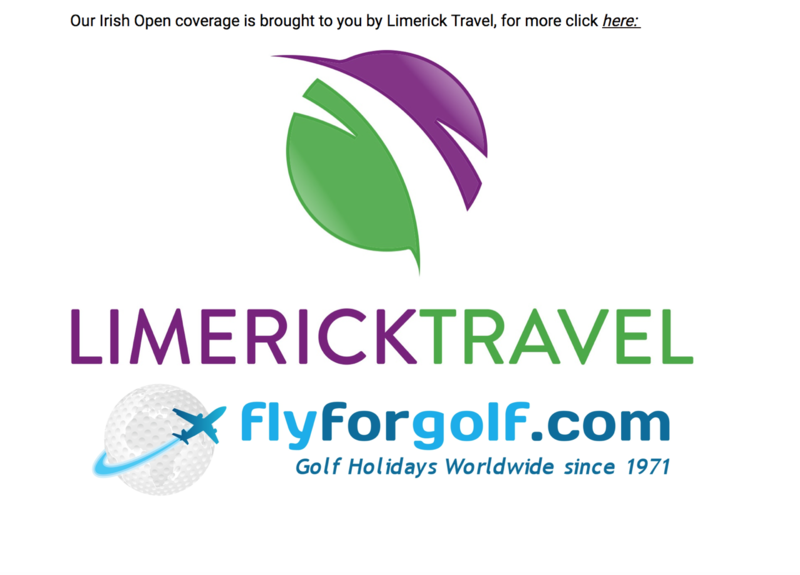 Peter, who is a Director of Limerick Travel, was on the bag for fellow Limerick man Cian McNamara for the opening two rounds of the prestigious tournament which is taking place over the spectacular Ballyliffin Links in Inishowen, Co Donegal. Brazil is no mean golfer in his own right as the member of Limerick and Lahinch Golf Clubs plays off a handicap of 5. “It is fantastic. It is great to be caddying at a European Tour event. I’m over the moon with the opportunity,” Peter Brazil told Leader Sport. “It is a fantastic course, one of the toughest links courses in the country. “Cian (McNamara) played alright on Thursday. The only negative was a penalty shot he incurred when he ball came up against a TV cable on the 15th, our 6th hole, and a ruling went against him unfortunately along with two three-putts which was the summary of the round. “Cian doesn’t play as many events as he used to. He is the head professional at Monkstown Golf Club in County Cork. He has a massive lesson book there and has the TrackMan Technology in the driving range. “He has moved on from being a playing professional to doing both, working in the real world of 9am-5pm as well as playing these events. “I was over-the-moon when I got the call from Cian to caddy for him this week. Watching the likes of McDowell, Harrington, McIlroy, Westwood on the driving range is fantastic. “Cian has put in the hard yards and it is great to great some reward every now and then. For myself it is a wonderful experience. “It’s an iconic event, the Irish Open. I am delighted to be up here. “So many people have come up to Donegal for the week. It’s a big commitment, a 10-hour round trip from Limerick, Cian was thrilled and delighted. Cian McNamara, from Ballyclough, followed up on his opening round of 76 on Thursday with a 75 on Friday to finish on a total of +7 and outside of the cut half-way mark which came at +1.